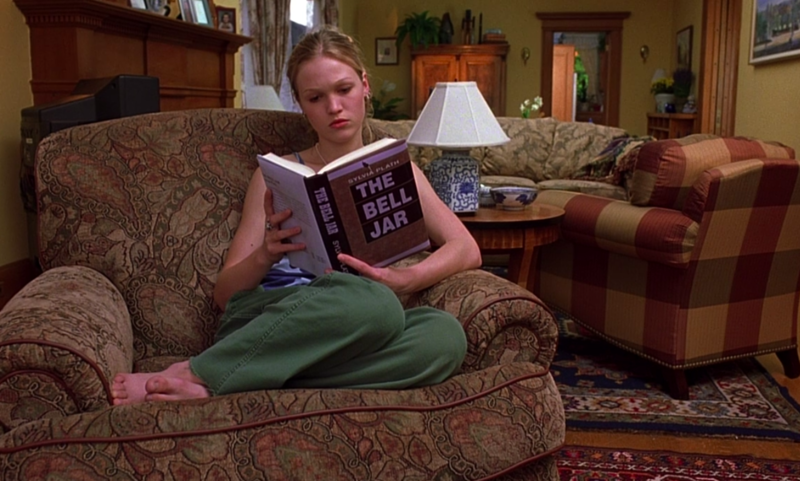 The year 1999 was important for teen cinema, as evidenced by the countless movie scenes etched in our memories from those twelve months. 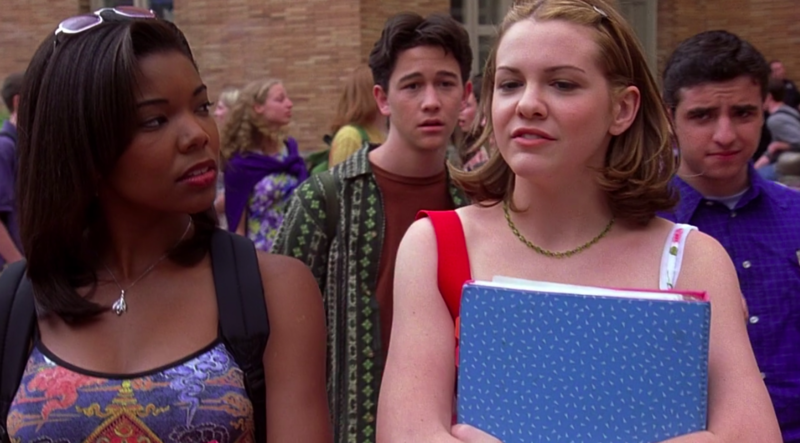 There was Laney Boggs, (Rachael Leigh Cook), walking down the stairs post-makeover in She’s All That. There was Rose McGowan opening up the trunk of her car to discover that she “killed the teen dream” in Jawbreaker. And who could forget that scene in Cruel Intentions when the haunting violins of The Verve’s “Bittersweet Symphony” accompany the big reveal of Kathryn (Sarah Michelle Gellar) and her cocaine rosary? 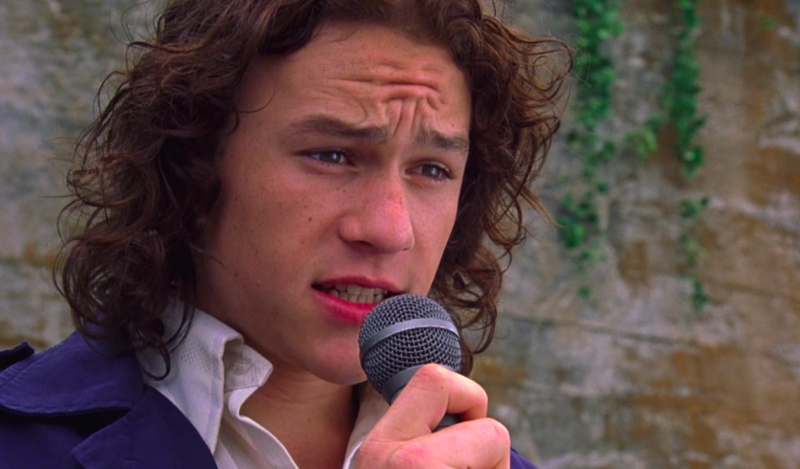 10 Things I Hate About You, which came out 20 years ago on March 31st, 1999, possesses a smorgasbord of unforgettable scenes. 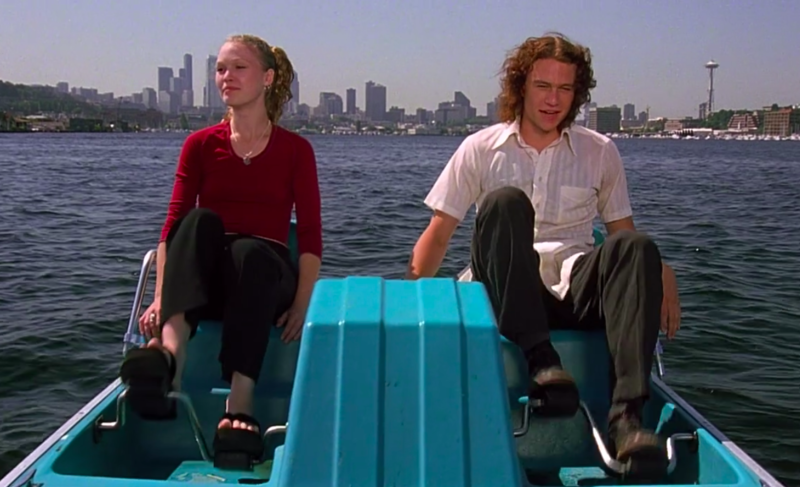 After all, it was the film that gave us Julia Stiles drunkenly dancing to Biggie’s “Hypnotize” on a kitchen table, the fashion phenomenon known as Frankenflops, and of course, the young talent who was taken away from us too soon, Heath Ledger. It’s love at first sight for Cameron (Joseph Gordon-Levitt), who is determined to date Bianca even though she’s not allowed—her father forbids her to unless her sister Kat dates. Much like She’s All That, this obstacle makes way for a bet, which results in a transaction, and a hunky Australian bad-boy named Patrick (Heath Ledger) spends the duration of the film trying to convince Kat to go out with him. While it may not be unique in its plot, it’s filled with charming moments like Patrick serenading Kat from the bleachers with Frankie Valli’s “Can’t Take My Eyes Off Of You.” I think we all fell in love with Ledger after that. 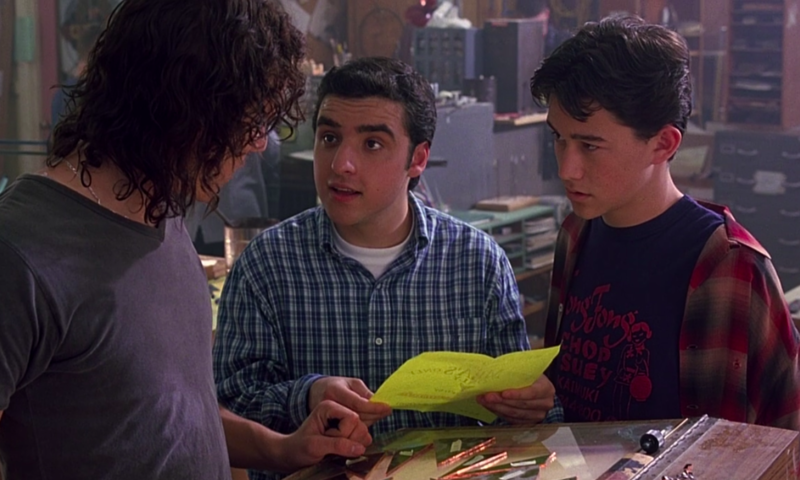 If you were in high school around this time, you’d agree that the film’s fashion was pretty accurate. Unlike the colorful retro-inspired outfits in Jawbreaker or the seductive businesswear of Cruel Intentions, Kat’s casual, cool-girl aesthetic and Bianca’s girly garb were more of a reality for actual teens of the era. Kat wore flared pants, camo print, and belly shirts, all with a laissez-faire quality, while Bianca coveted pink floral dresses and other ultra-femme pieces. Since the film was shot in Seattle, Tillman was able to thrift a lot of the costumes on location, but she also sourced in New York and L.A., tapping vintage shops and costume rental houses. She dyed and altered most of the clothes while other pieces were built from scratch. “I try to get them from everywhere so it doesn’t just look like I went to Nordstrom, and so that the characters look like they’ve bought their things over time,” Tillman explains. She also makes sure the costumes complement each other according to what’s happening in the scene. “If they’re falling in love, it’s going to be beautiful, or if the two don’t get along, it will be a little bit discordant,” she says. Tillman, who made Kat’s sandals, said she got in trouble for them. “You get them at the Japanese stores. They’re a flip flop with a bamboo bottom and then I added rubber to make them a platform for a couple of reasons. One, they wouldn’t last if I didn’t, and two, it just made it more comfortable to have the rubber and it made it look cool.” Tillman says Stiles liked that her character wore the same shoes a lot, but the film’s producers were not happy. “The director supported us, but, some studio people we’re so sick of those shoes. But it made sense to us, so we fought for it. We did do a few others, some Mary Janes,” she says.